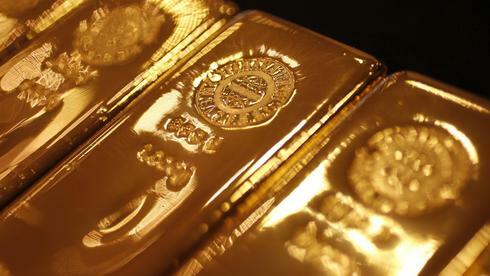 All about gold and gold bullion, from buying to selling, from investing to prospecting. After receiving a tongue lashing early last year and a retreat to lick its wounds, gold seems to be on the move again. Possibly due to China's continued preference for buying up as much gold as it can get it's hands on. They recently announced they have expended their gold reserves by 76 percent, making them the third largest gold reserve in the world. They have now raced passed France and Italy from a holding in April 2013 of 1054 tons to a current 2710 metric tons. The Bank of China, last year, accumulated an additional 622 tons of gold last year and it seems to have boosted its gold reserve without buying gold from the global bullion market. I.e. while most major gold producing nations are reporting a decline in their gold production, China is surging ahead with theirs. However, an increasing number of gold producers are being approached by China to buy all their forward production at a premium no less. According to London Metal Trader Andrew Maguire, "An increasing number of producers are being approached by China to buy their forward production and at a premium over spot ... and I have reliable information from one of the producers I deal with that they are getting a forward sale price equivalent to just a small discount over the strong Shanghai closing wholesale premiums. They (those premiums in Shanghai) average around $15 per ounce, but have been as high as $30 per ounce." Maguire added: "China is playing its hand more openly now which tells us the lines are really close to crossing, where they (the Chinese) are actually going to benefit from a gold revaluation." To substantiate this, this year so far a phenomenal amount of gold is being withdrawn from the vault. A total of 79 tons according to the Shanghai Gold Exchange. The overview data 2014 for week 2 showing: 79 metric tonnes withdrawn in week 2, 6-01-2013/10-01-2013 - w/w + 120.9 %, y/y + 49 % and 99 metric tonnes withdrawn year to date (2014). This is putting the gold market under stress as "There is a shortage of big bars, especially good-delivery 400-ounce bars. One part of the problem is that large quantities of these bars that have come from ETFs, have now been moved to be re-refined into three-nines bars of smaller sizes and are therefore no longer available to the London market." According to Bernard Dahdah from Natixis. Every year the PBOC (and by the SGE, Shanghai Futures Exchange and China Gold Association, but these are all controlled by the PBOC), publish a report called the China Gold Market Report. This annual report is divided into six categories and shows the amount of gold used or issued for each section. 1. Jewelry manufacturing: Starting from 2003, China's gold use in the jewelry industry has been growing for 9 consecutive years, reaching 456.66 tons in 2011. 2. Industrial raw materials: Gold used in 2011 amounted to 53.22 tons, up 5.94 tons or 12.53 percent over the previous year. 3. Gold coin casting: In 2011, the China Gold Coin Corporation planned to issue 1.486166 million gold coins in 15 categories, while the actual gold used reached 21.55 tons. 4. Investment gold bars for hoarding purposes: In 2011, 213.85 tons of mini-sized gold bars were sold for hoarding purpose. 5. Other industrial purposes: Throughout 2011, gold used for other purposes amounted to 13.52 tons. 6. Net investment: Gold used for net investment refers to the demand arising from the transfer process of gold as an investment tool, which amounted to 284.88 tons in 2011. With the conclusion at the end of the report, "Deregulation of the gold control to open the gold market to the public in 2002 led to the constant rise in Chinas gold demand, which unprecedentedly exceeded 1,000 tons in 2011." The Chinese gold market is controlled by law to limit all supply and mining products to be sold via the SGE and once sold, cannot be returned to the SGE vaults. This quote from the legislation points this out. On October 30, 2002, the Shanghai Gold Exchange commenced operation under the supervision of the State Council. Thereafter, the PBOC ceased its gold allocation and gold purchase operations. All PRC gold producers are now required to sell their standard gold bullion through the Shanghai Gold Exchange, and prices of gold on the Shanghai Gold Exchange are determined by market demand and supply, which essentially converge with the price of gold in the international market. On February 27, 2003, the State Council cancelled the approval requirements for the production and sale of gold and gold products. As a result, although the Administrative Regulations have not been abolished, the policy of "centralized purchase and allocation of gold" as stipulated under the Administrative Regulations has been terminated in practice. Since July 2004, the State Council reformed the administrative approval system and cleared the outstanding projects which were subject to administrative approval by its ministries and departments. However, the import and export of gold and gold products remain subject to administrative examination and approval. The authority responsible for such examination and approval is the PBOC. Read point 2 of a considerations segment from an ICBC gold product. (1)	See announcement of Shanghai Gold Exchange on the trading hours for deferred settlement contracts, unit of trade, unit of withdrawal. ICBC makes necessary adjustment in line with the change in Shanghai Gold Exchange rules. (2)	According to Shanghai Gold Exchange rules, physical gold taken out of warehouse cannot be taken into the gold warehouse designated by Shanghai gold exchange again. (3)	Currently no deferred settlement service for silver. So what does this mean in terms of gold's recovery? Firstly this reported gold does not include the black market gold being sold to China across borders or through individuals taking gold through China international airports and customs. It has been estimated by analysts that the unofficial importing of gold into China could be as much as 20 percent over and above the official figures. China is also continuing to buy up gold producers where they can, even at a premium. The policy and focus continues to be to accumulate as much gold as is needed to back the yuan as much as possible. Once China's accumulation of gold is achieved over and above the current western holdings then China will be setting the price of gold instead of the Western futures market. Then we will see a price rise as China seeks to increase the value of their gold holdings and the value of the yuan. In support of this China is, according to Kenneth Hoffman, senior metals analyst at Bloomberg Industries, "Based on conversations with officials in China and Mongolia, it's evident that China feels they want as much gold as much as the U.S.," Hoffman said in a telephone interview from Skillman, New Jersey. "The refiners in Switzerland have been talking about melting gold after the selloff in London and shipping them to Hong Kong and then from Hong Kong can be traced to China." And in a speech given by Zhang Bingnan, financial expert for CCTV and vice president of the China Gold Association, an institution that acts as a bridge between the Chinese government and gold producers in protecting business interests and providing information, consultancy, co-ordination and intermediary services for them, "I think it's because after this round of global financial crisis, more and more people around the world have a clearer understanding that gold is safeguarding national economic security and financial security. Its importance of protecting ordinary people's portfolio is increasing." He also told a financial conference in Beijing last year that gold is essential to China's economic security. Germany has seen the light with demands now by a German Legislator for the repatriation of all the German Bundesbank gold vaulted overseas and the German Deutsche Bank has withdrawn from the gold and silver benchmark price setting. Other nations are buying up as much gold as they can and also working to ensure they actually own the physical gold and not just on paper including the BRIC nations, Russia and many smaller nations. So the illusion that gold has less value is easily seen through by the serious financial nations who are obviously expecting a price rise in the not too distant future. Gold is, indeed, on the move. Copyright (c) 2007 - 2017 ALL RIGHTS RESERVED. Technical Author Services Pty Ltd.
Webmaster: Technical Author Services Pty Ltd.